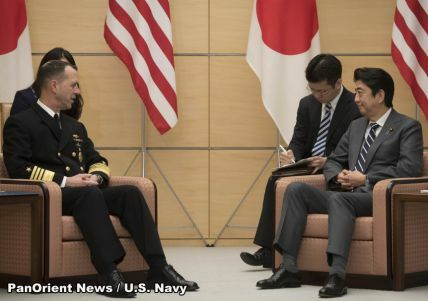 During his two-day visit beginning on Jan. 17, Richardson emphasized the importance of the U.S.-Japan alliance and the countries’ maritime partnership in particular. 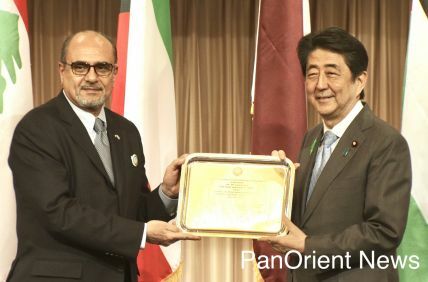 In addition to Abe, he also met with Minister for Foreign Affairs Taro Kono and Vice Minister of Defense Kenji Harada, among others. 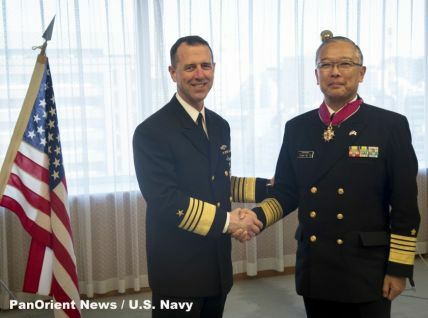 Richardson presented the Chief of Maritime Staff of the Japan Maritime Self-Defense Force Adm. Yutaka Murakawa with a Legion of Merit in honor of his service in strengthening ties between American and Japanese maritime forces. A Legion of Merit is an American military decoration that can be awarded to citizens of other nations. Before heading to Tokyo, Richardson met with sailors at an American naval base in Yokosuka to hear feedback and talk about the Navy’s increasing role in a competition of global powers, in which the U.S. and its close ally Japan have strategically been at odds with China in the Indo-Pacific region, U.S. Navy reported.